The Sakali Mansion Hotel is built in the beautiful traditional Pelion village of Pinakates, on a 560 meters altitude, situated very close to the city of Volos. 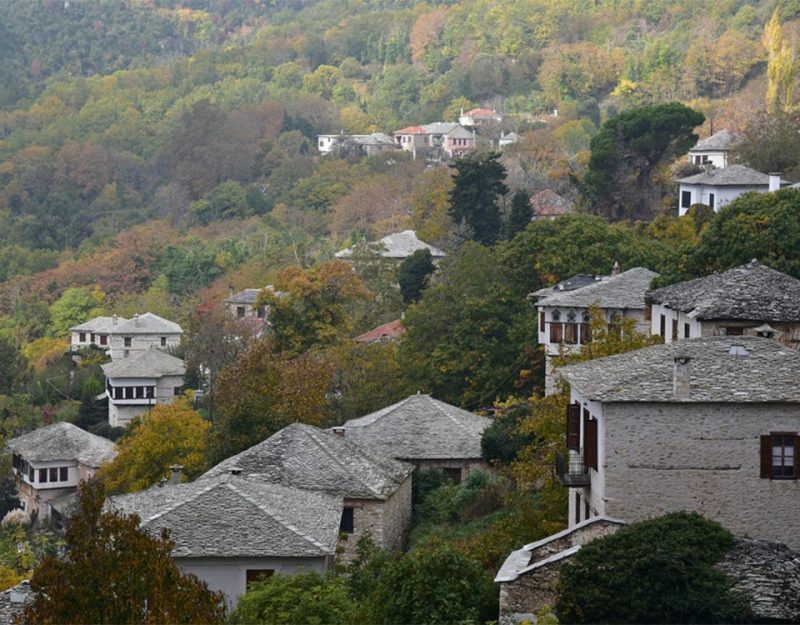 The Pinakates village of Pelion is situated between Saint George Nilias and Vizitsa. The mountain of Pelion, in Magnisia, is one of the most stunning places in Greece, especially during the winter months, when the snow magically covers everything, the temperature falls below zero and people are looking for a warm, cozy hideaway. From Pinakates, guests can visit the Greek villages of Vizitsa, Milies, Tsagarada, the mountain of Pelion and the beautiful seaside city of Volos, well known for the good food, the vibrant night life, the plethora of shops, hotels, museums and traditional houses. This traditional village of Volos shows a remarkable architectural style, with its stone-built houses, the narrow pedestrian walkways, which are under the auspices of UNESCO, and the big traditional square, close to which the Sakali Mansion is built. Departing from Volos, if you follow the route to Tsagarada, after Agria, you will arrive at Ano Lechonia. Mind here to turn left at the guide-sign that indicates: Agios Vlassis, Agios Giorgos, Pinakates. Sakali Mansion is located on the central road, 50 meters on the right after the village central square. Departing from Volos, following the route for Tsagarada, you will cross Agria, Ano Lechonia and you will arrive to Kala Nera. Turn left at the guide-sign that indicates: Milies, Vizitsa, Pinakates. Sakali Mansion is situated on the central road, 50 meters on the left before the village central square. This traditional village of Volos shows a remarkable architectural style, with its stone-built houses, the narrow pedestrian walkways, which are under the auspices of UNESCO, and the big traditional square, close to which the Sakali Mansion is built. 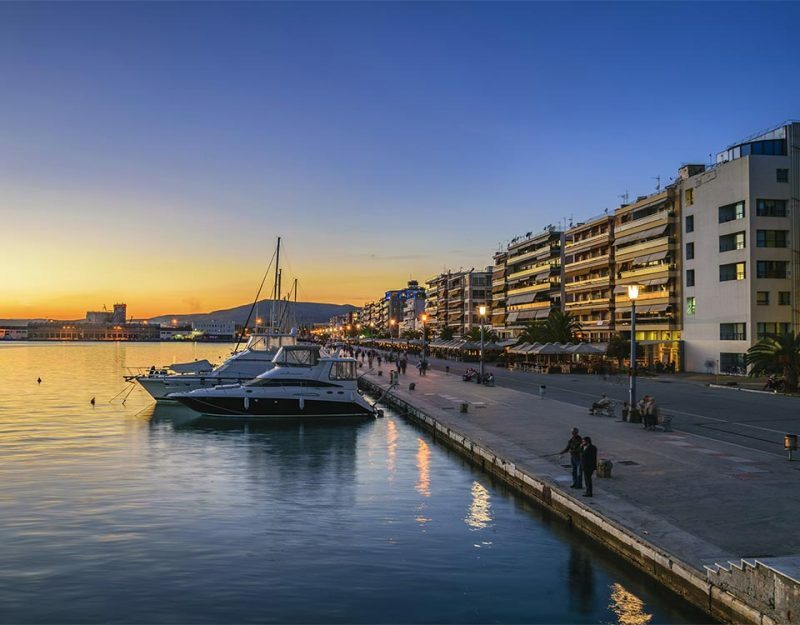 The beautiful seaside city of Volos, well known for the good food, the vibrant night life, the plethora of shops, hotels, museums and traditional houses. Pinakates, in Magnisia, is one of the most stunning places in Greece, especially during the winter months, when the snow magically covers everything, the temperature falls below zero and people are looking for a warm, cozy hideaway. Beautiful routes that will enable you to discover the picturesque surrounding villages of Pelion such as Agios Giorgos Nilias, Vizitsa, Milies, etc. At Milies, visit the Folkloric Museum and visit the Train Station where you will discover Pelion’s train called “Moutzouris”. During your escapades, you will get refreshed and quench your thirst at the beautiful vintage taps, you will admire historical churches and you will lull in the region’s monasteries. At Pelion you will encounter splendid beaches. The calm sea of the Pagasitikos and the wild beauty of the Aegean will really thrill you. 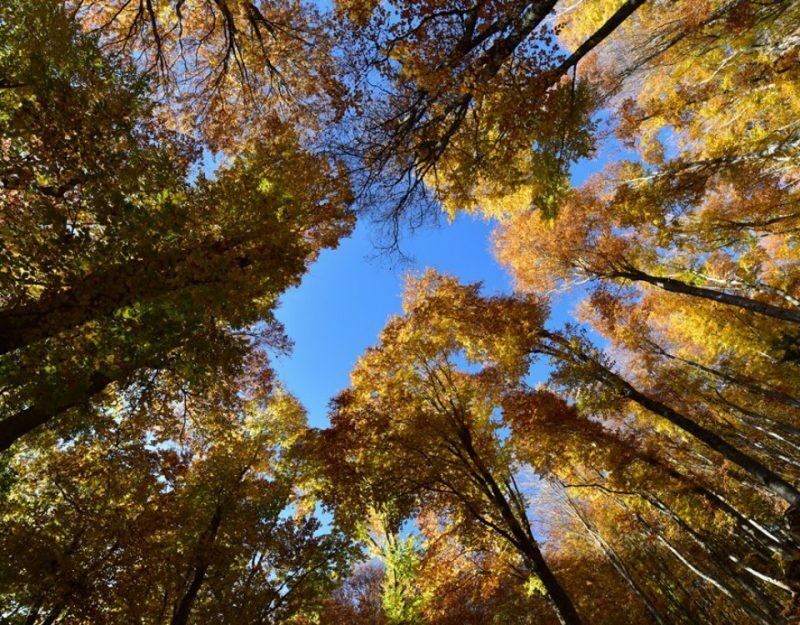 Volos mountain and its lovely city are both ideal for a plethora of activities. The mountain of Pelion includes splendid picturesque villages, such as Vizitsa, Milies, Tsagarada, Portaria, Makrinitsa, Kissos etc., that you can visit by car and taste the local cuisine, wines and tsipouro. You are also invited to explore the beautiful mountain’s unique nature path, by following, for example, the pedestrian route Pinakates-Kala Nera starting from the village’s central square and reaching Kala Nera through cobble-stone pavements and sections of rural roads that cross the region’s olive groves. Except Pelion, the gorgeous coastal city of Volos offers a multitude of activities. Admire Pelion’s small train, which has been proposed for UNESCO’s World Heritage List, visit the Anavrou Square where you can admire the permanent sculpture exhibition, the seaside park of Agios Konstantinos and the Pedion tou Areos that hosts the modern Argos. Taste fresh seafood and the wonderful local tsipouro. Your holidays in Sakali Mansion at the Pinakates of Pelion will offer you a unique experience and unforgettable memories.